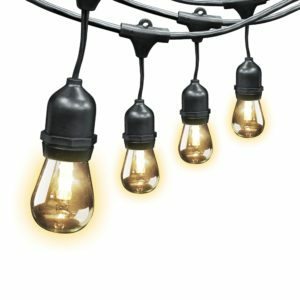 Adding string lights to any outside area of a home gives it an instant decorative effect. Turn an outdoor space into another living area. Perfect lighting for holiday celebrations, weddings, anniversaries and more. Simple to use and install. Feit Electric String Light sets are available in color changing or classic white in a variety of lengths to suit your needs.